Meet Jerry Parr. In 1981, he was the agent standing next to Ronald Reagan when John Hinckley, Jr., stepped out of the crowd, intent on killing the president. 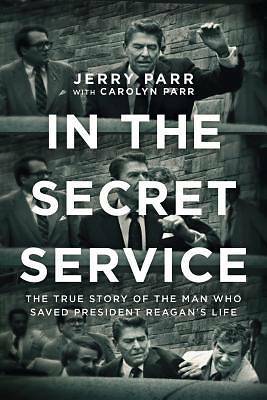 In the Secret Service is an adrenaline-filled ride through the life of the agent who saved Ronald Reagan's life. Jerry spent much of his life as a silent eyewitness to history, with a gun at his fingertips. What motivates a man who is ready at a moment's notice to step into the path of a bullet? In In the Secret Service, you'll also follow Jerry's inner journey. That journey led him from the halls of the powerful to the streets of the poor in Washington, D.C., to the mountain passes of war-torn El Salvador to help orphans. You won't want to miss this insider's perspective on the Secret Service and a look into the heart of a man who was--and is--ready to sacrifice himself for another. At times heart-pounding, at times heartrending, this richly textured memoir of a Secret Service Agent will first move you to the edge of your seat, then to the depths of your soul.